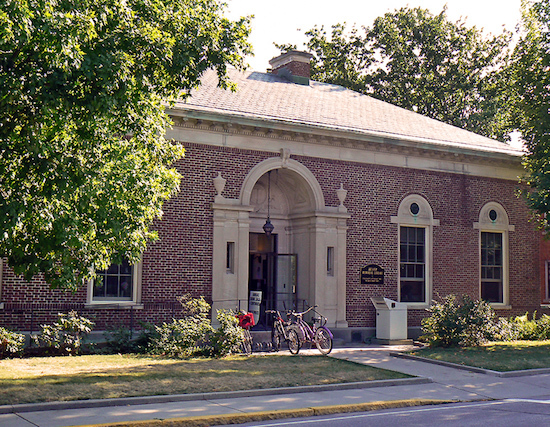 The Jesup is the library of Bar Harbor, built in 1910-1911. Maria De Witt Jesup funded the construction of the distinguished Colonial Revival building in memory of her husband, philanthropist Morris K. Jesup. Mr. Jesup was one of Arctic explorer Robert E. Peary’s biggest supporters. Also, he sponsored a major anthropological expedition known as the Jesup North Pacific Expedition that involved the study of the people of Siberia, Alaska, and the Northwest coast of Canada. The library hosts many events year-round. With 40,000 books, the Jesup is also a good place to stop and read a book about Arctic exploration. Photo courtesy of Jesup Memorial Library, Bar Harbor.